The daunting task of writing a script for your next video is finally going to become a lot easier. Today, Video Script is launching, and it promises to make your script writing a whole lot easier! Are you ready for the best low-cost script generation tool ever? This software takes on the effectiveness of professional script writers and call-to-actions, but for just a fraction of the price and lets you customize and generate a winning script, ready for you to use for your videos so you donât lose your viewer traffic due to boring, repetitive or unengaging content! 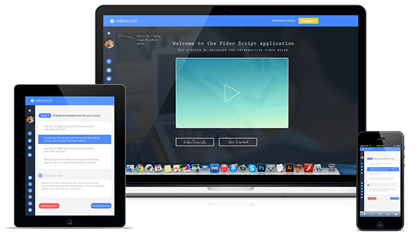 What are the features of âvideoscriptâ, also known as âScript Generation on Steroidsâ? 4. All you need to do is select what parts you want to add into your script, customize it with your name and product, and save! Problem solved.. especially if you get â²inâ on the special discount right now!